Sunken boats and ships are havens for underwater life ... and divers. 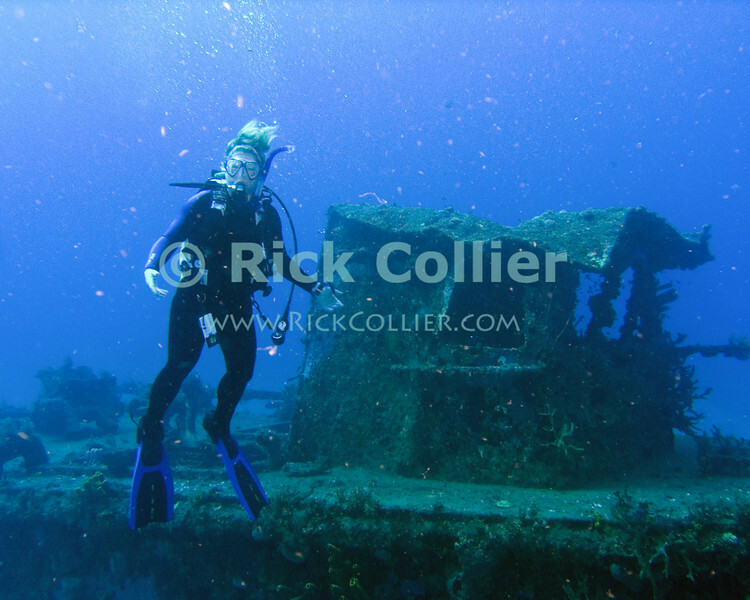 A diver waits for her dive buddy near a sunken tugboat. St. Eustatius (Statia), Netherlands Antilles.